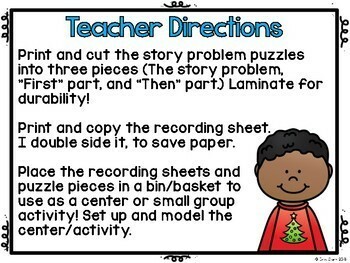 In this hands-on, interactive problem solving activity, students will use puzzle pieces to put a story problem together with the two parts needed to solve! 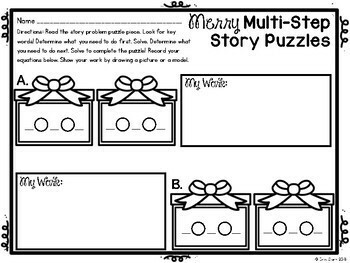 Students will first read the story problem puzzle piece. Then, they will determine what they need to do first and solve. 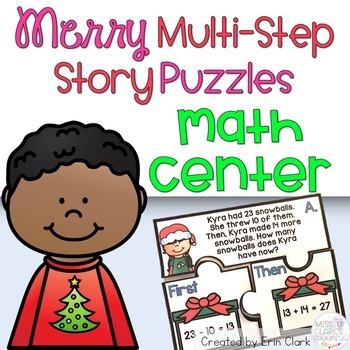 Next, students will determine the second step in problem solving, and complete the puzzle! Students will record their work on the corresponding recording sheet. Both color and black & white versions of this center are included!